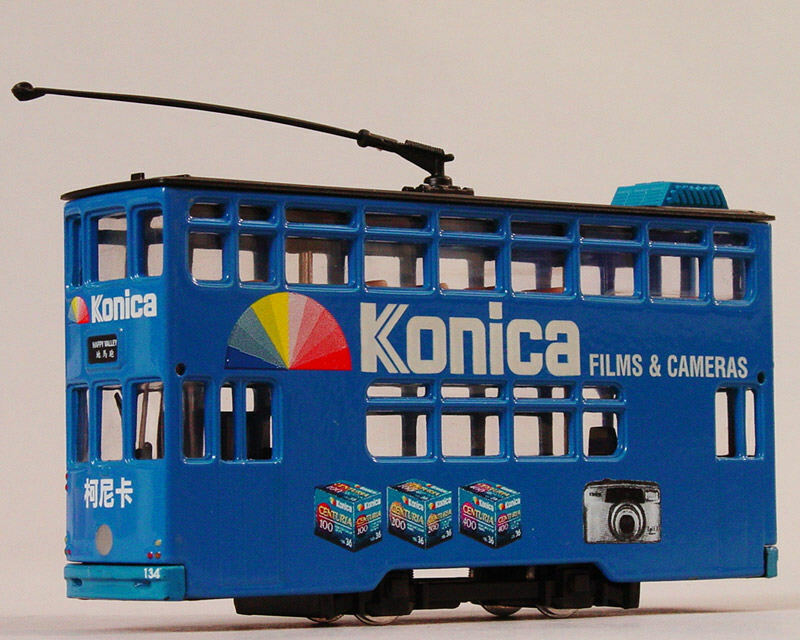 The model - this tram carries all-over 'Konica' advertising. It was listed as being a release for the second half of 2002. The photograph is from the CD sent to members of the Collector's Model Collectors Group. 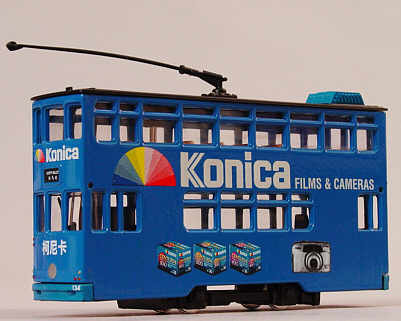 I am unsure as to whether this model was actually issued - please e-mail me if you can provide any further information.